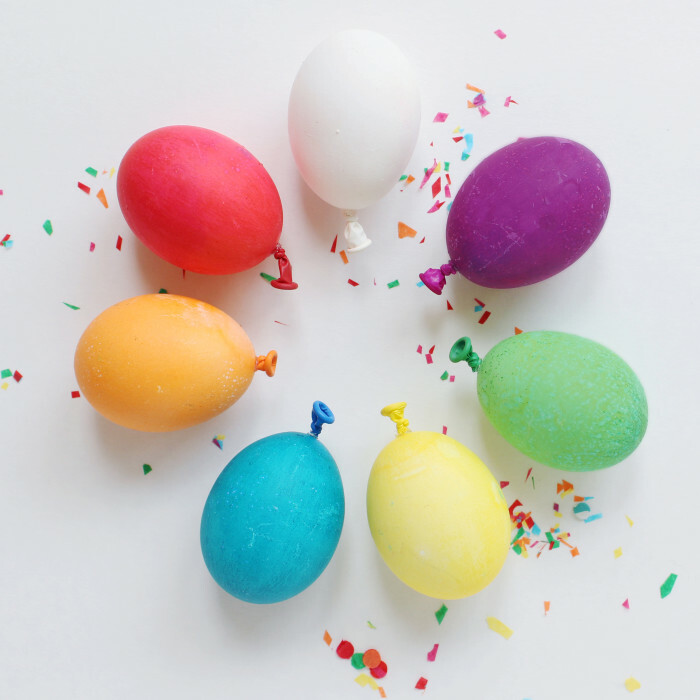 It’s Easter Egg Week at AJR!! 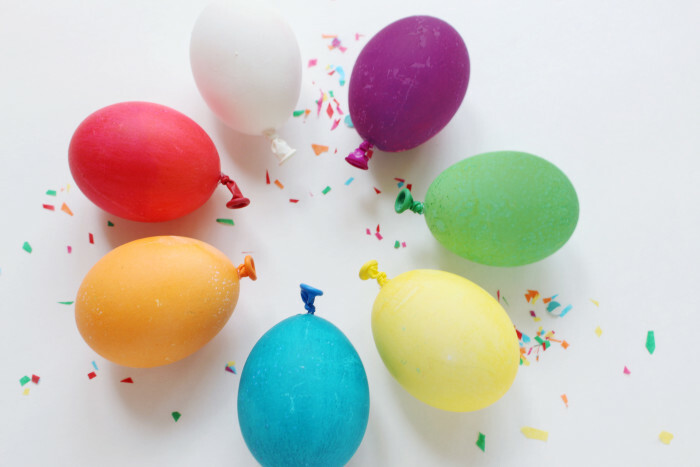 A whole week of really fun, simple, colorful and unique ways to take your eggs to the next level this year and we’re kicking it off today with these happiest-ever balloon eggs! Because sharing a birthday with a holiday can be a real bummer. We are really lucky that our birthday doesn’t fall around any other celebrated times so the focus can always just be 100% on us :D but some people aren’t so lucky. 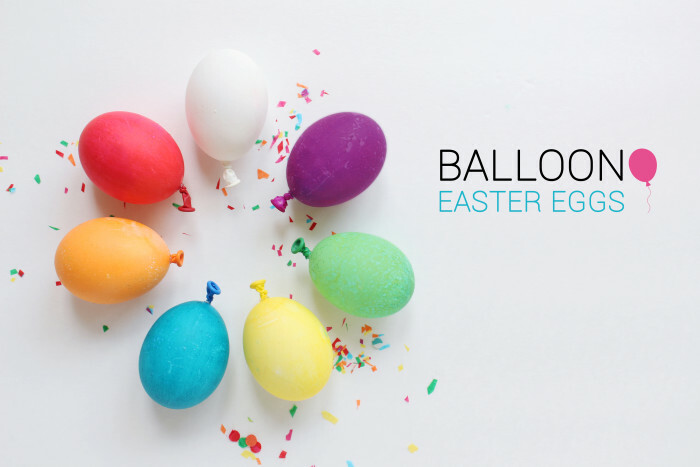 Our brother for instance has had Easter fall on his birthday (the very last day of March) a few times so this year I thought, “we need a way to incorporate Easter-time birthdays into our family celebration!” And so balloon easter eggs were born. 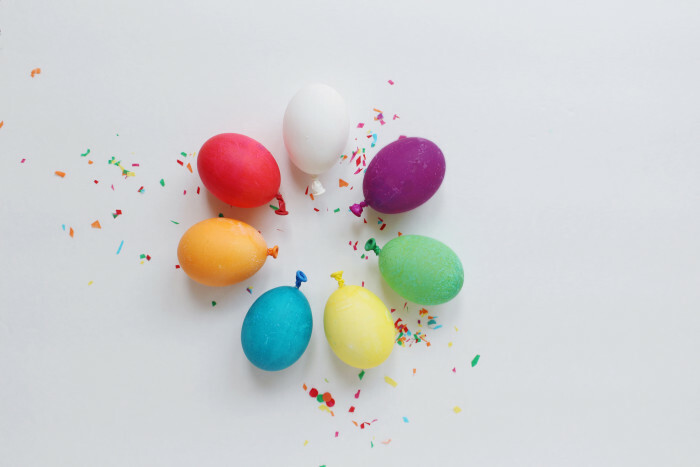 I know most people who share their birthdays either just accept it or are happy with a simple cake but I also know they’d feel a teeny bit better seeing some birthday fun meeting traditional Easter food, wouldn’t you?! 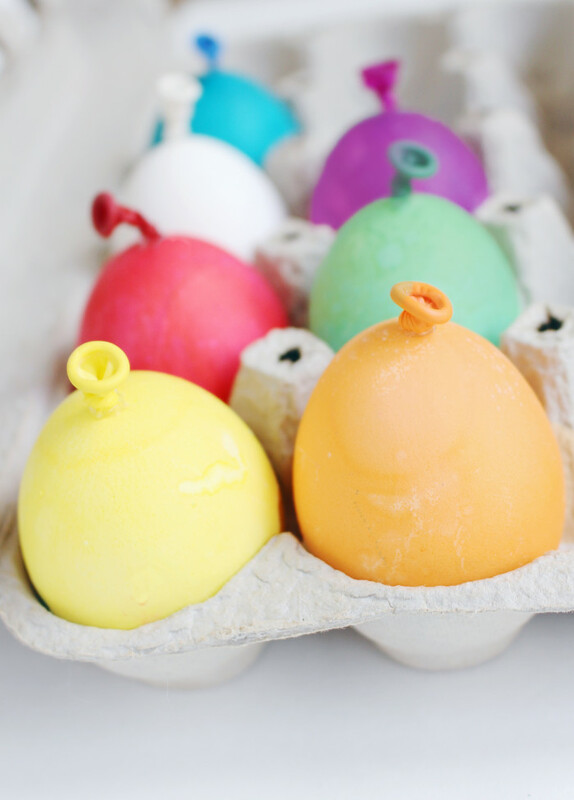 And even if you aren’t celebrating a birthday in conjunction with your Easter, these eggs are so stinking cute and so easy, make em anyway! Just for funsies! 2. 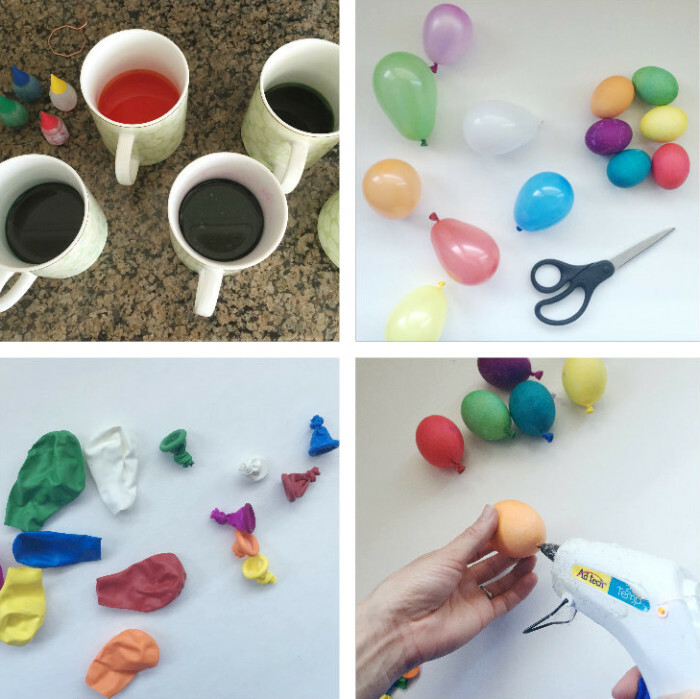 Blow up some matching balloons. 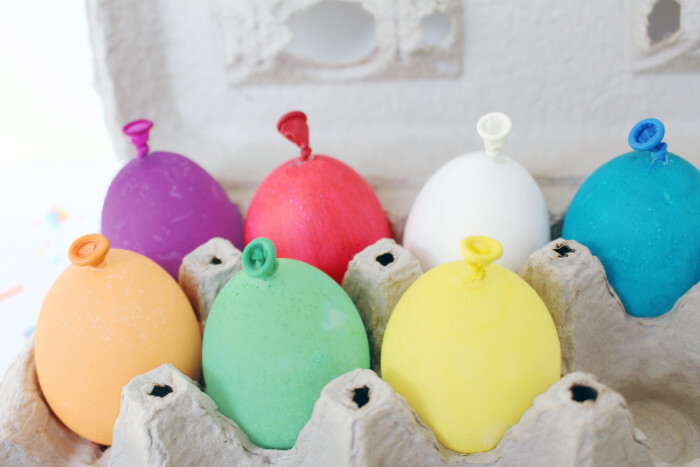 I used water balloons and a hand pump and they were the perfect size for this but regular balloons would work too. 3. Cut the bottom of the balloon off, above the knot. 4. 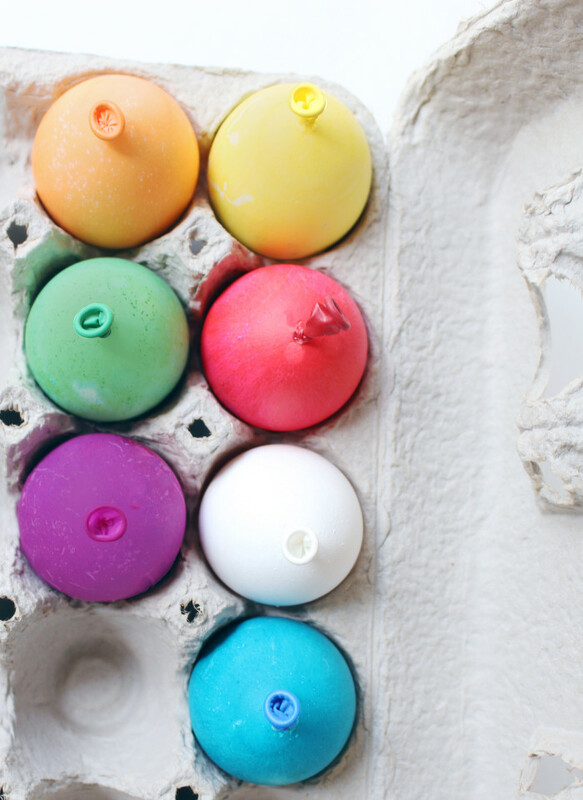 Use a hot glue to attach it to the pointier end of your eggs. The colder the egg the more difficult this will be. That’s it! 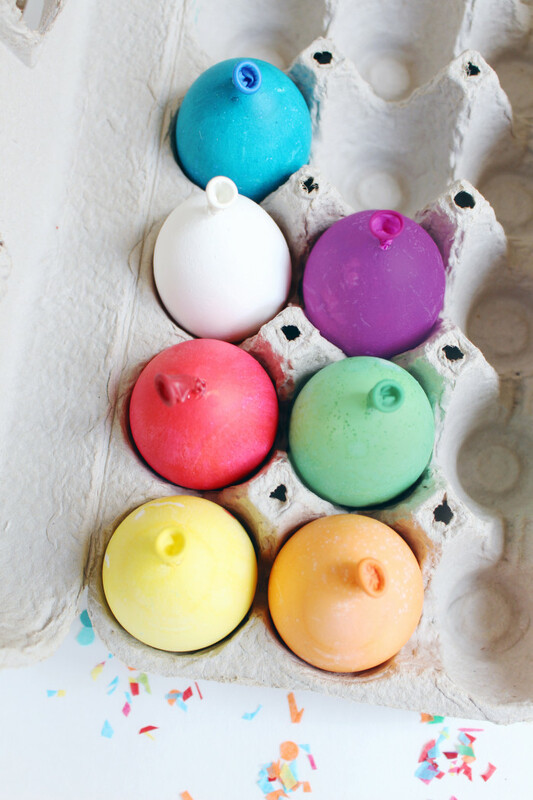 I mean really if you’re already coloring eggs anyway you might as well add a balloon knot to the bottom for some extra cheer don’t you think!? I actually just used the dye tablets that came in one of those boxes you get at the grocery store. I put them in vinegar and water as per the directions on the box and left the eggs in for 15 minutes. Just darling! Thanks so much for sharing! Oh Alisha you are the best!! Thank YOU!